The Lee County School Board is trying to work out a plan to raise the pay for bus drivers and teachers. 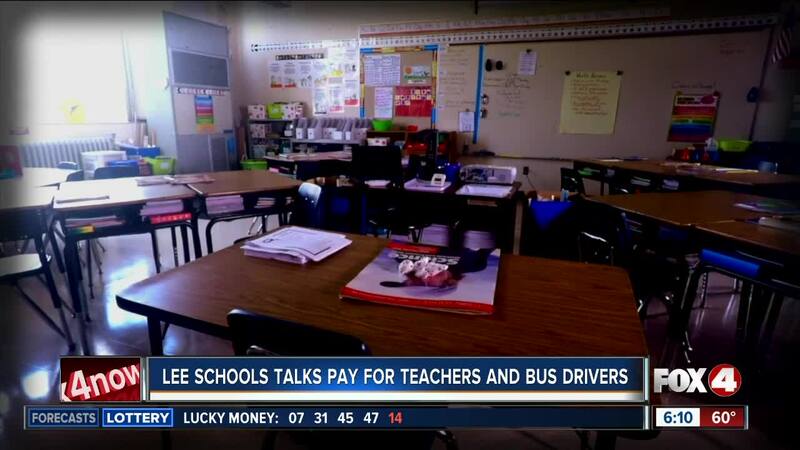 LEE COUNTY, Fla.-- The Lee County School Board is trying to work out a plan to raise the pay for bus drivers and teachers. According to the board, in 2018, administrative positions like the chief academic officer and chief operations officer saw a 20% pay raise. However, teachers and bus driver pay only increase by 3%. To remedy this, the board has created a plan call "Vision 2020". The plan should help bring teachers to what's called "market value pay" by 2021. The superintendent says Lee County teachers are at the 55th percentile for pay, and they want to get them to the 75th percentile. The board is also working on ways to pay bus drivers more, to retain employees. Right now, the plan is to raise the minimum wage to $16 an hour. The Lee County School Board also wants to focus on transparency, and they plan to hold more board meetings that will include the public's input.